PORTLAND, Ore. (KOIN) -- Portland police seized a large amount of drugs during a traffic stop in Southeast Portland Sunday afternoon. Police said they stopped a car at NE 82nd Avenue and SE Harney Street for a traffic crime. 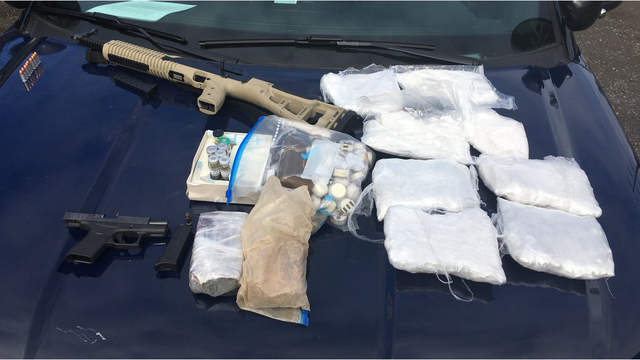 They searched the car and found more than 8 pounds of methamphetamine, 2 pounds of heroin, steroids and two guns. "It's off the street and won't further damage our community," police tweeted. Charges are pending for two suspects.